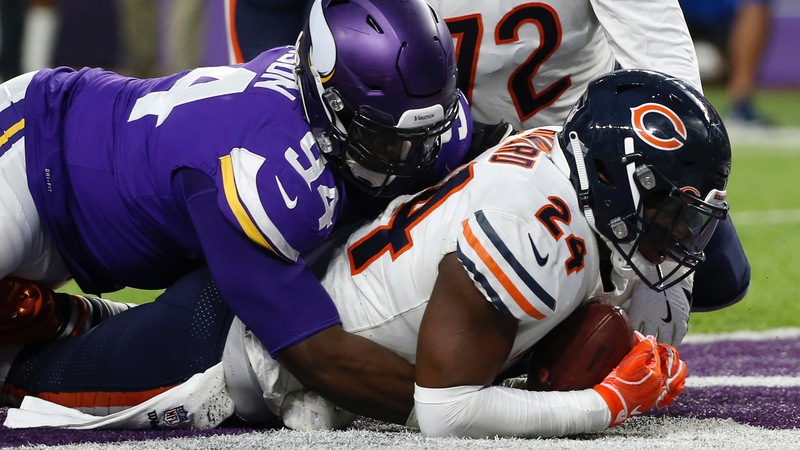 The Bears have traded running back Jordan Howard to the Eagles for a conditional sixth-round pick in next year’s NFL draft, meaning fantasy owners will be trying to scoop up Tarik Cohen early in their drafts. PHILADELPHIA (AP) -- The Bears have traded running back Jordan Howard to the Eagles for a conditional sixth-round pick in next year’s NFL draft. Howard bolsters an Eagles backfield that includes Josh Adams, who led the team in rushing with 511 yards last season, Wendell Smallwood and Corey Clement. The draft pick could become a fifth-rounder based on conditions of the trade that was completed Thursday night. The 24-year-old Howard ran for 935 yards last year, his lowest total in three NFL seasons. But he also tied a career high with nine touchdowns. __MORE:__ [Bears-Packers line for Thursday night season-opener](https://www.betchicago.com/bears-packers-betting-line-favorite-nfl-2019-season-opener) That leaves Chicago with Tarik Cohen as its feature back. The 23-year-old had 444 rushing yards and three touchdowns, and 725 receiving yards and five scores in 2018. He made the Pro Bowl as a return man. The Bears, who lost in the wild-card round of the playoffs to the Eagles, are 16/1 to win Super Bowl 54. Philly is 20/1. __PLAY:__ Our [free daily contests](https://betchicago.chalkline.com) for the chance to win a BetChicago prize pack.